Specialty: Computer storage peripherals and hardware including magnetic tape, optical and disk drives and arrays, printers. Automated modular tape library system. 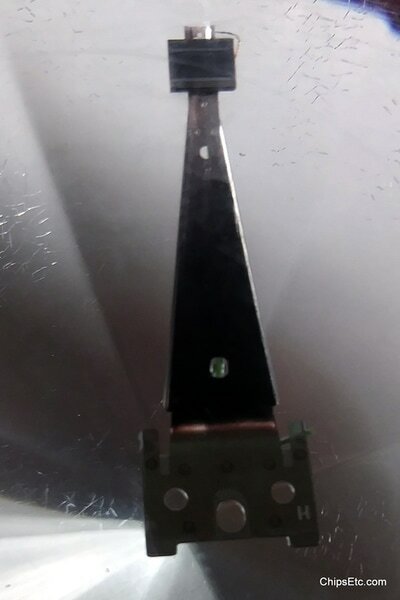 Developed first intelligent computer disk drive, and first cached disk drive. 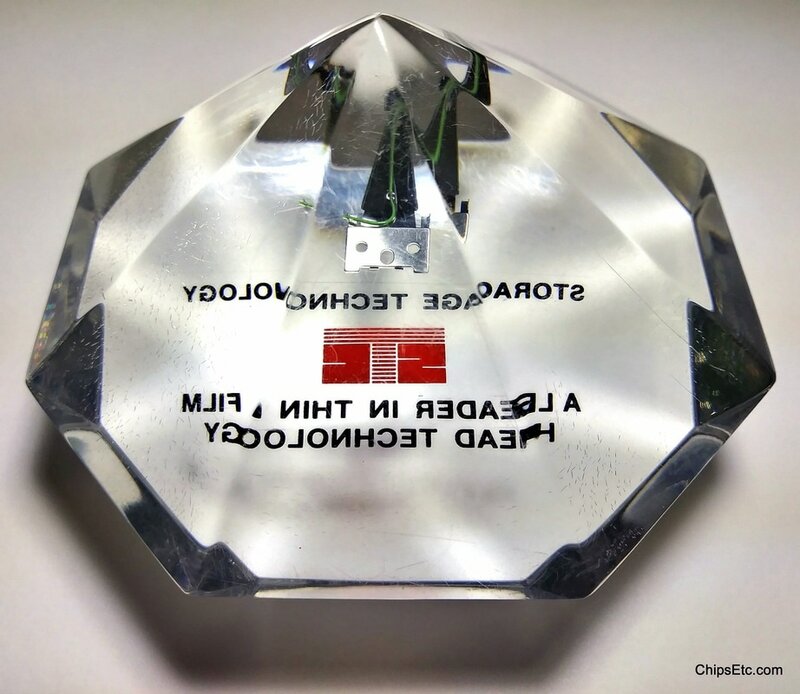 This Lucite paperweight from STC features an example of their thin film head technology. In the late 1970's to early 80's STC competed with Control Data Corp., Ampex, Sperry Univac, and Memorex to produce high density, plug-compatible, disk storage drives for IBM mainframe business computers. In 1979, both STC and Intel Corp. would introduce their own versions of computer storage subsystems that utilized solid-state memory located between the computer's main memory and fixed-head disk storage. STC's 4305 solid-state disk system used CCD semiconductor technology, while intel's fast-3805 disk system used 16k-bit of traditional RAM memory. 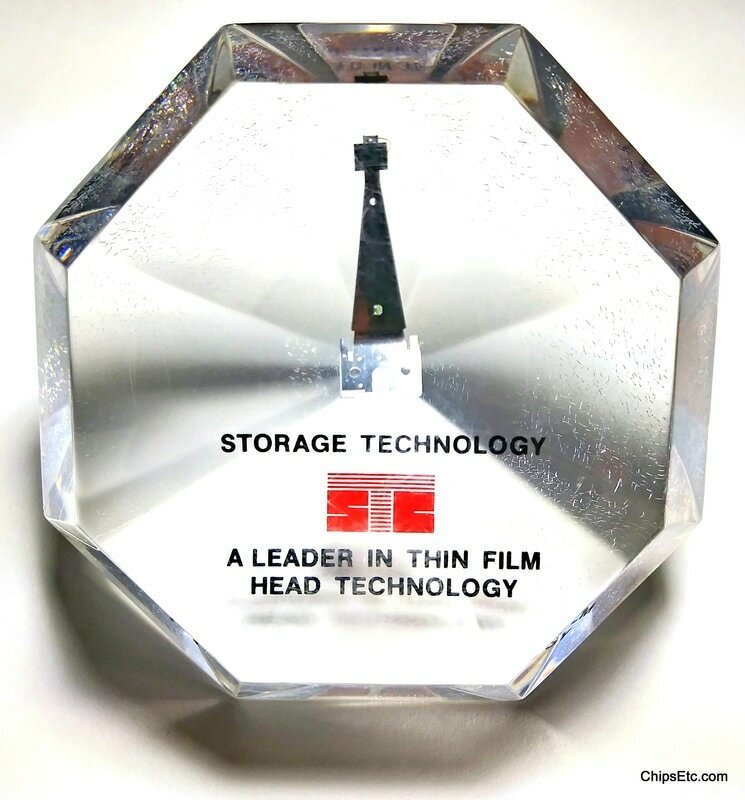 STC would file for bankruptcy in 1985 due to high costs incurred while developing their own compatible version of the IBM 3380 magnetic disk storage system. STC also incurred more financial burden by competing with Trilogy Systems (Amdahl) & NAS to try and be the fist to introduce an air-cooled IBM compatible mainframe computer that used the new VLSI CMOS technology, replacing the industry's older bipolar semiconductor technology. The CMOS mainframe computer project was later dropped by STC.